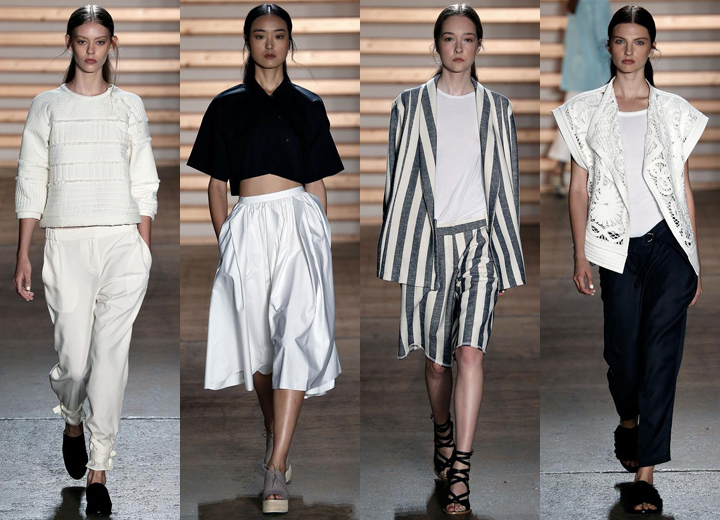 Clean lines, rich materials and perfect tailoring, three elements that pretty much sums up Tibi's collection for spring and summer. 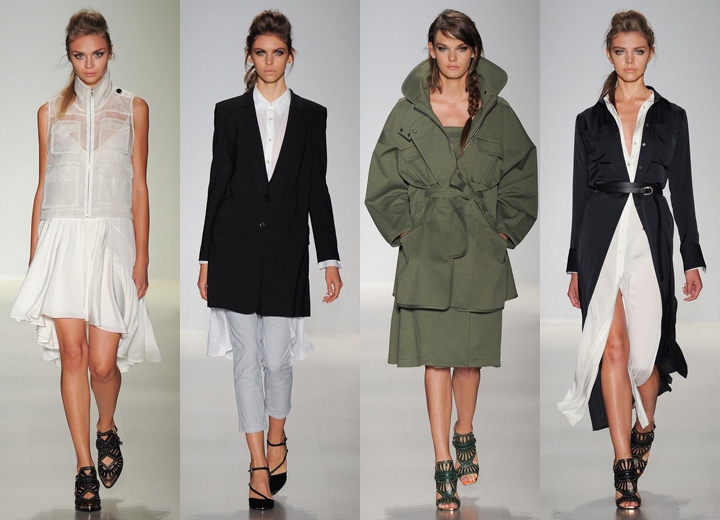 I've always liked Tibi, but it wasn't until this year, when the brand really caught my attention. The designer was supposedly inspired by Asian and South American culture, but incorporating their elements in real modern way, she delivered a cohesive collection yet with each piece individually making a true statement. 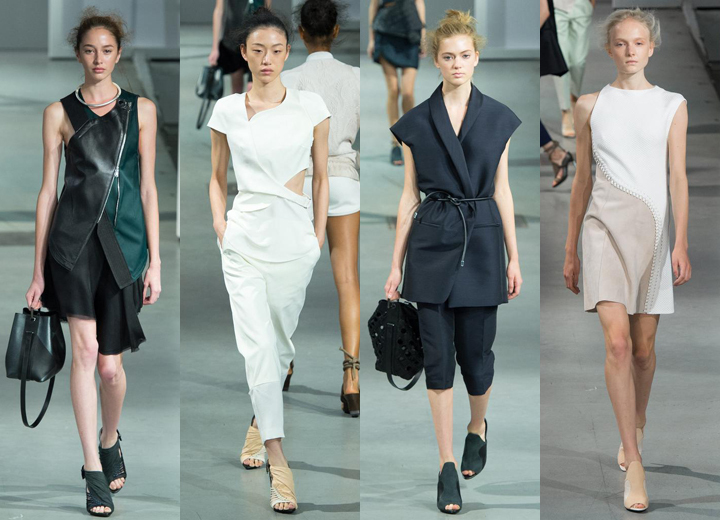 If you have been following my blog for a while, my love for Phillip Lim is no secret to you. One of my favorite designers once again delivered an amazing collection, continuing with his organic flow, playing with new and different shapes, but of course not forgetting about his signature leather elements. One of the highlights of my stay in New York was definitely a Herve Leger show. Projecting a figure of a woman warrior, the collection is rich and structured, perfect for a strong, independent, but yet feminine woman. Lacoste, has been keeping it classy in their own way of course. They once again reached out for more of a sporty vibe, proving that the whole sporty trend isn't going anywhere just yet, by incorporating simple, yet sleek and polished elements and materials. I'm especially a big fan of the neoprene material that tends to create a strong silhouette, especially when paired with Lacoste's perfect cuts. Definitely one of the most wearable collections. Now, don't get me wrong, the term "wearable" can very quickly be projected as boring or unoriginal, but that's definitely not the case with Marissa's latest work. Her pieces might be very easily incorporated in most of women's closets, but with amazing details, beautiful color pallet and perfect cuts, who says that is a bad thing? liked all those designers... somethings are very wearable..